You are currently browsing the category archive for the ‘New!’ category. I love, love, LOVE Christmas time – this year I have been handmaking a fair few gifts and as always, have been busy making decorations for the house. 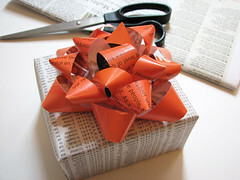 I have taken things a step further this year and gone down the “Eco” path, starting with eco gift wrap! They look beautiful under the tree! ~ photo from How About Orange ~ click the photo to view the tutorial! After making my paper baubles a couple of years ago, this year my daughter and I tried our hand at making some cinnamon apple ornaments. If you are starting to dig the eco vibe (yeah maaaaaaan) why not make your own garland? 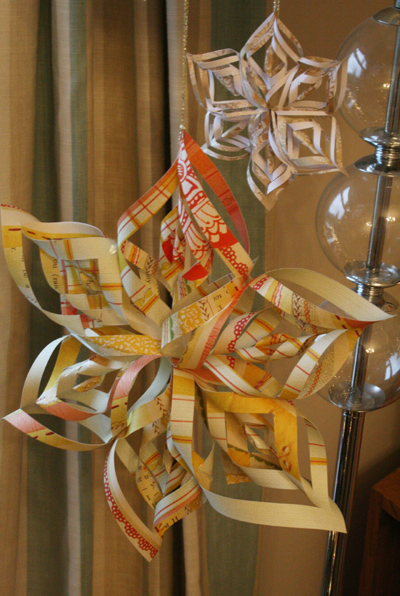 Every year I make my own because I am a cheapskate care about the enviroment. I use bay branches from the tree in our garden (which smell divine) and some ivy to form the basic shape then pretty it up with some fake berries, homemade dried orange slices, sparkly stars and whatever else I have to hand! Costs no more than a couple of pounds but looks very christmassy. It doesn’t need to be restricted to just a mantel piece, I use it all over the house – from the TV stand to sprigs on our sideboard! Hopefully I can upload some more photos at some point, however I really must stopping blogging, pack up my orders and get them shipped so I can finish the decorating! YAY! The website has been updated and now all that is left to do is photograph the new yummy colours – check back later to see them! Edit to add – new colours are photographed and ready! The good news for you is you get the chance to grab some supplies at a ridiculously low price! All Angelina Heat Fusible Films & Fibres are priced to clear at a mere £1.99 per pack – down from £2.90! This is THE CHEAPEST price on the net! Hurry – once they are gone, that’s it! They will not be re-stocked. My Little Customs.com was born from my personal love of customising – my job means I get to chat to some wonderfully creative people! So, let’s start from the top – how and when did you discover the world of My Little Pony? About 10 years ago. I was looking for something in my parent’s loft and I found a box containing all of my childhood ponies, about 20 in total. The nostalgia was too hard to resist so I put them on display and started picking up a few in charity shops. A few years later, I found and joined a community online of like-minded people. 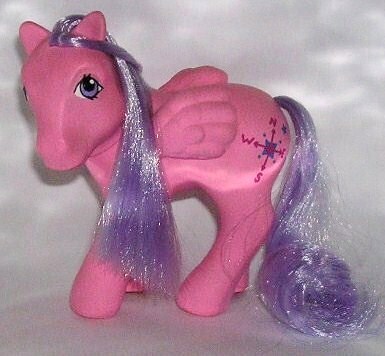 Do you collect My Little Pony and if so, how many do you have in your collection? I do collect but my collection is pretty specific. 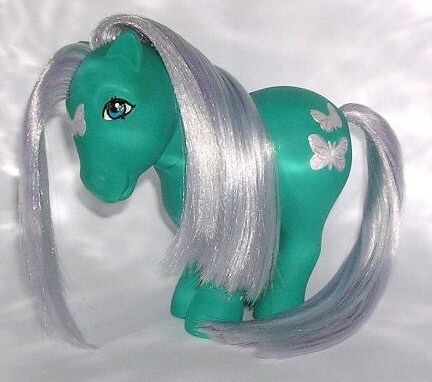 I had the UK Fact File when I was young and I really wanted every pony in there, so my aim is to eventually get all the ponies from it. I have also started collecting foreign variants, which can be an expensive habit so I tend to get them in bad condition so I can restore them. I keep my collection in my old room at my parent’s house (I will move them eventually) All my customs are at my flat and I keep trying to think up new places for them to go. I am running out of space fast…. 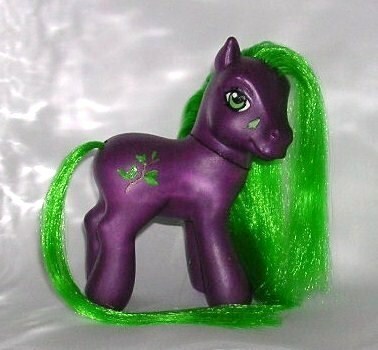 Who is your favourite pony and why? Honeycomb. She has a very simple design and looks quite elegant. 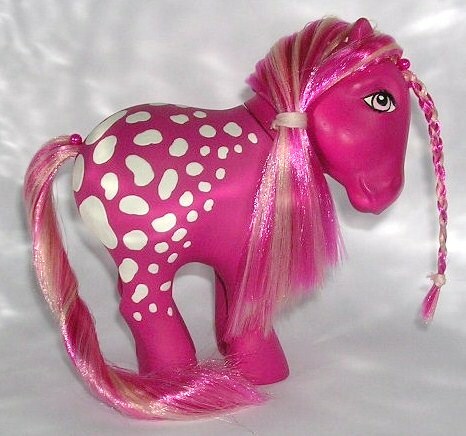 I also remember buying her in my local Woolies and I can still recall the ‘new pony’ smell when I opened her packet. How did you first get into customising? 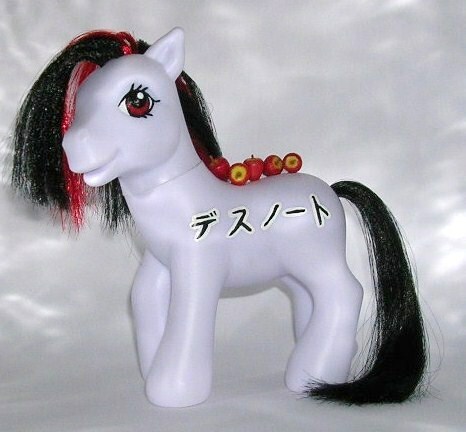 I found a really manky pony on a market stall, it had a severe hair cut and most of the symbols were rubbed away. 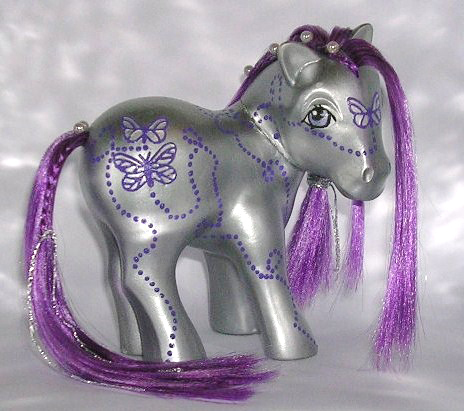 I painted a random pattern on the body with nail varnish (which I know now is a big no no) and threaded some unravelled chord into the mane. 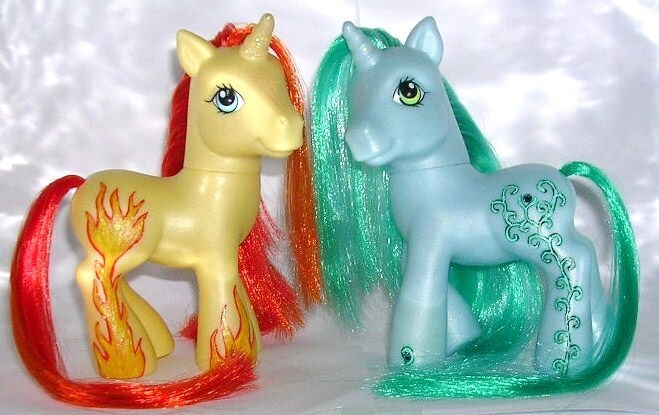 This was before I really new about the world of MLP and customs. When did finally join an online board, I realised that loads of people were doing it and using much better materials. I read a few online tutorials at first and picked up a few tips here and there. I used a lot of trial and error as well. But the most useful source of information has been the UK PonyCon Forum. The people on there are fab and are always on hand if I have a question about customising. Which has been your favourite custom / one you are most proud of? My Lantern pony I made for Halloween last year. It was the first custom I did that came out exactly as I wanted it to. It has a tiny light inside which can be switched on and off by a little switch on the leg. I thought it would be really complicated but it was relatively easy in the end. I often get stuck for ideas. The Dark idea came from Marvel. I was reading a comic, which had the Dark Beast in. I want to be more adventurous with my designs and branch out a bit more. I am hoping to do more with beads and sculpting in the future. I still have a few more Dark ponies to do and I am trying to make babies and newborns for all my collections ponies as well. I have started to do new versions of 80s ponies as well as alternate poses. I plan to do a set based on The Gods but that might be way off. 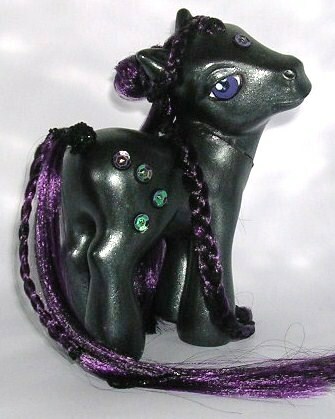 Show me some of your Dark Ponies! Do you have any advice for anyone who just starting out? Experiment and practice; it’s the best way to learn and get a feel for it. Also, join a community. It’s a great way to learn about the best materials and techniques. What materials do you use / cannot live without? The long doll needles and pliers, I am lost without them. The needles are essential for rehairing so I make sure I always have a spare (I have a tendency to snap them) and the pliers make pulling the needles through much easier. Without them, you have very sore fingers! I also have a very bad hair habit. I have to stop myself from buying most of the stock on My Little Customs, but it is very addictive. Hair preference! Nylon, Polypropylene or Saran? Why? No preference really, I just pick colours I like (which is pretty much all of them!). 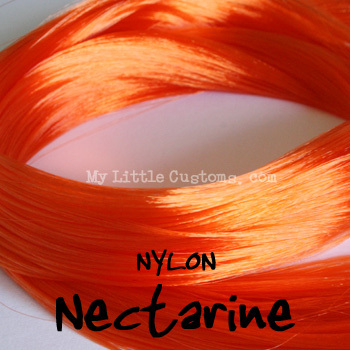 I probably buy Nylon the most as I find it is the easiest to use and it can be curled. I have a little website which has my customs on The Custom Hut I am also on the UK PonyCon Forum under the name PolarisX. A little bit of background information on yourself, hobbies, other interests, age. I am 28 and I recently had a change of job, which meant I have more time for customising. I have also been able to start learning Japanese and practice archery. I find customising therapeutic and a great way to relax so I can usually be found customising in front of a dodgy horror film or two. I have also started painting recently and am working on a series of comic themed canvases. 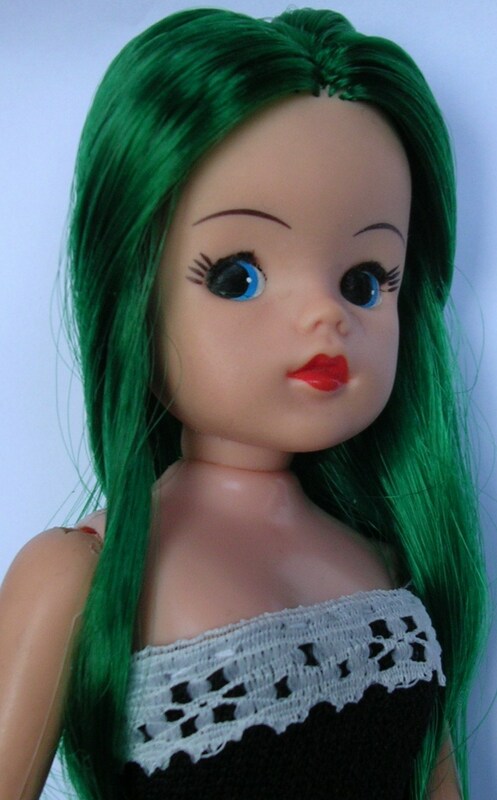 I also customise Sindy dolls, and I hope to get better at making outfits for them, so I need to improve my sewing skills. I aim to complete a set of dolls based on the Greek Gods, complete with accessories, but I need a lot more practice first. Thank you so much for the interview Vic! My Little Customs Lucky Draw – win £50 of store credit! Do you fancy the chance of winning a WHOPPING £50 of store credit to spend at www.mylittlecustoms.com ? You do? Brilliant! Then this is for you! I am holding a My Little Customs Lucky Draw! All you need to do to stand a chance of winning is to get your ticket! Tickets are £3.50 (GBP) each and there is no limit on how many tickets you can buy. 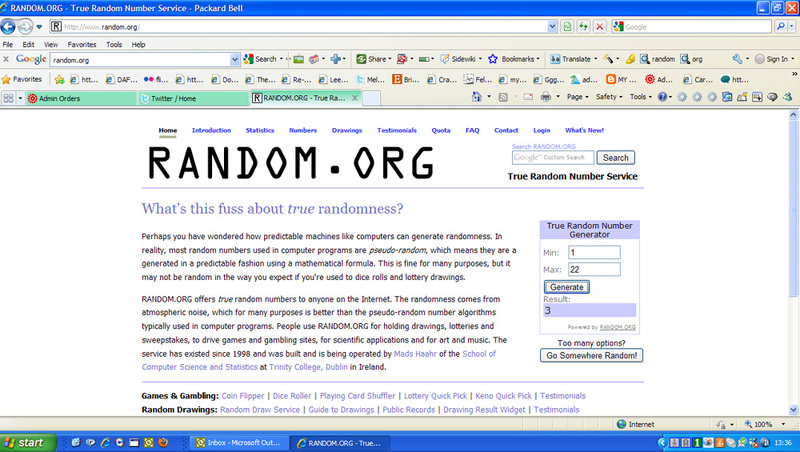 The draw will be run from now until Sunday 2nd May 2010 at Midnight (GMT) with the winner announced on Monday 3rd May. The My Little Customs Lucky Draw will run from 20th April 2010 until 2nd May 2010 at 12 Midnight GMT. A full list of entrant names with the corresponding ticket numbers will be kept in hard copy so no need to worry if you forget your number!